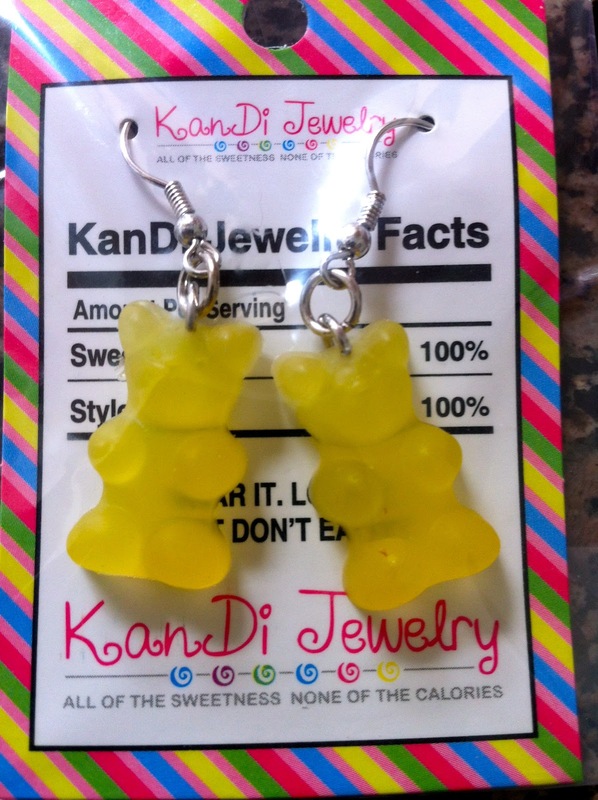 KanDi World is filled with treasures for girls with a sweet tooth. 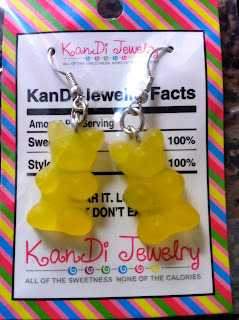 Their jewelry is festooned with gummy bears, jawbreakers and rainbow colored dots. Luckily, these treats won't cause cavities- or overburden your wallet. Roo received a pair of dangly gummy bear earrings. She was a little disappointed that she couldn't eat them but I think she likes them anyway! I think Fergie had the same idea about her KanDi Charm Necklace! 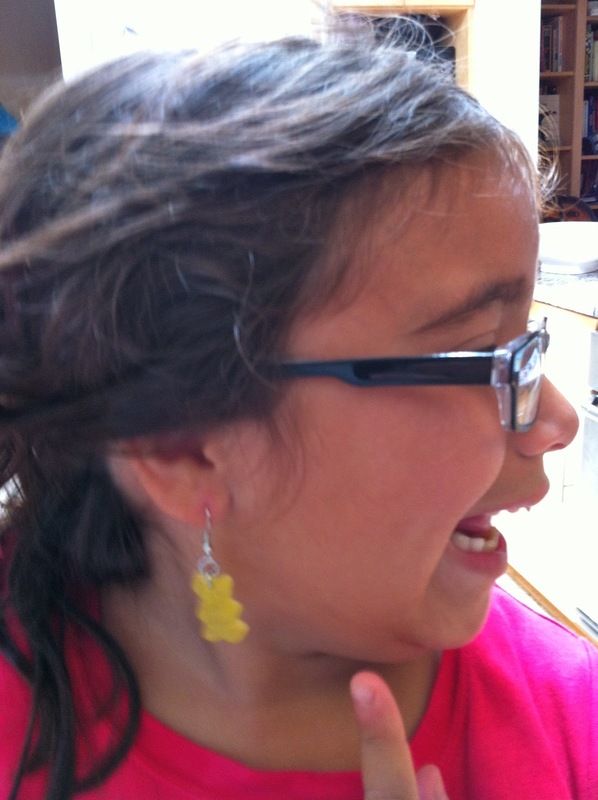 In accordance to the FTC Guidelines and the WOMMA Code of Ethics, I am disclosing that we received the earrings pictured above to facilitate this review. No other compensation was provided and all opinions are, as usual, entirely my own. It really would be difficult not to want to eat them, but they're so cute!